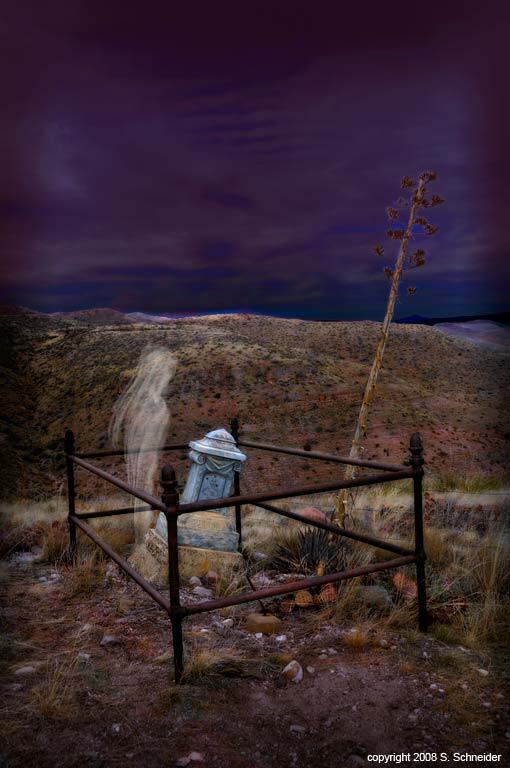 The Intelligent Haunting - These are the ghosts of people who were once living, but because of a traumatic event or unfinished business, have not passed over to the other side. 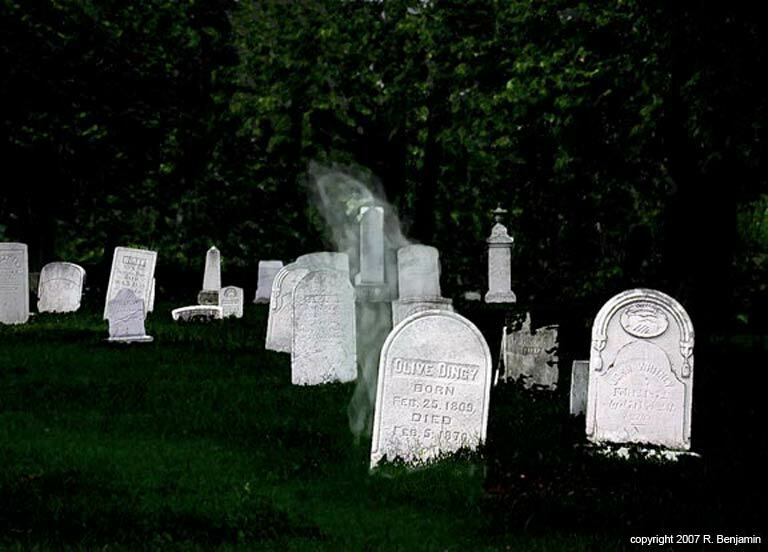 These ghosts have been known to interact with people. 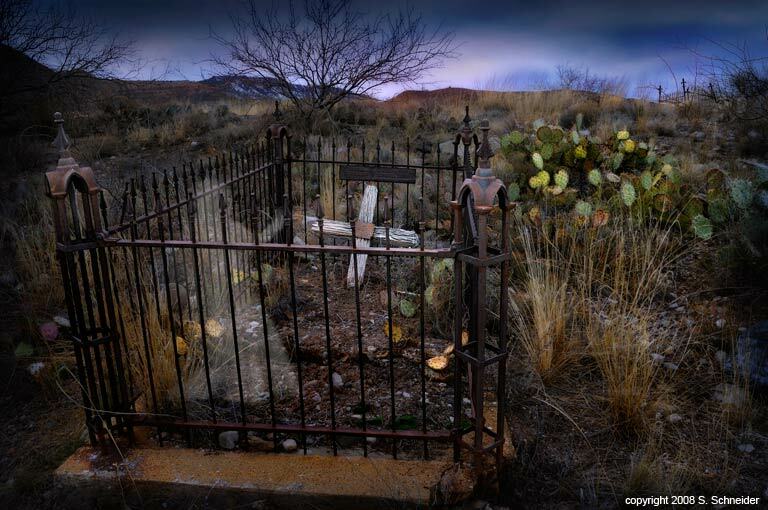 Stories exist of ghosts that led people to their hidden grave site or the proof of a crime. 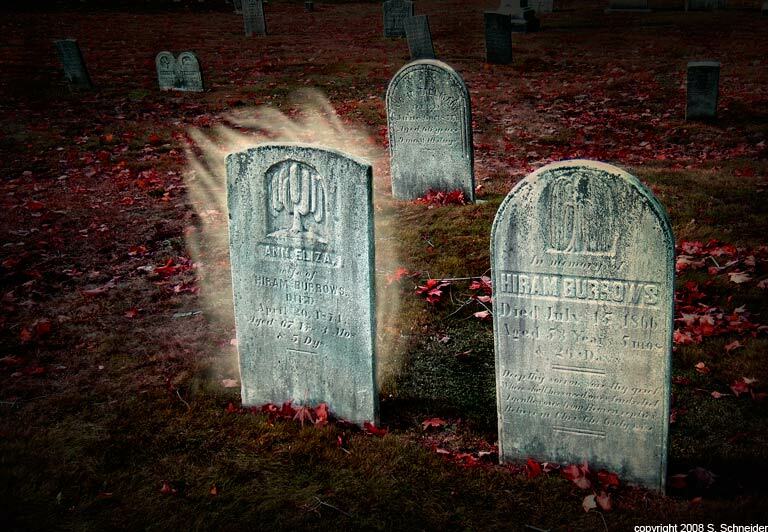 Replay Ghosts or The Residual Haunting - These ghosts appear or cause smells or sounds, but do not interact with the living. 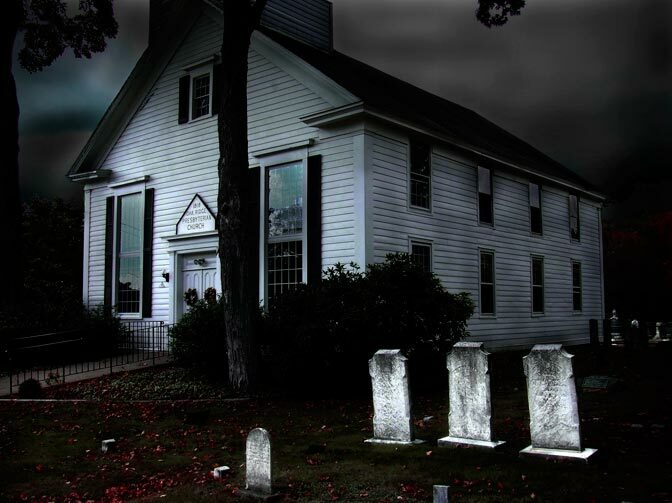 Examples are footsteps on stairs or apparitions in a room. The possible explanation is they are like a tape recording, played over and over again. Somehow the places where they appear store up the energy of the past and allow it to keep replaying. Cemetery Ghosts or Portal Hauntings - The entranceway to the other side. This may be location of the openings in the veil during October. 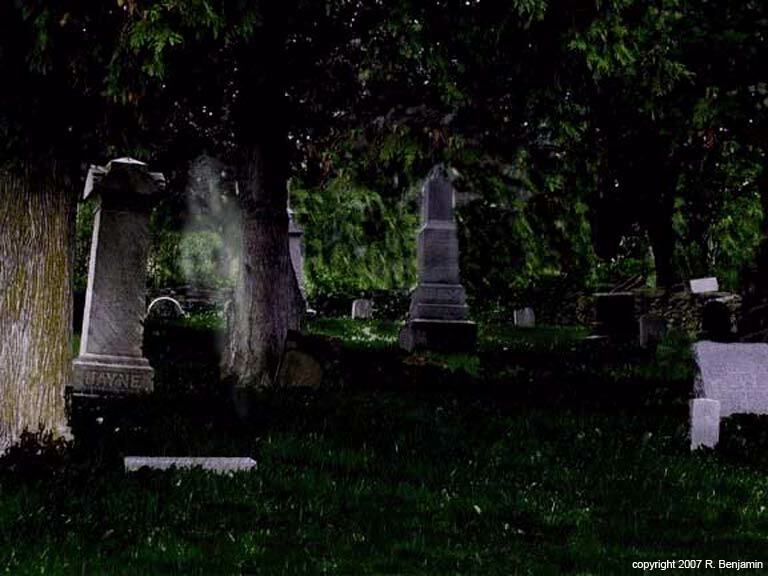 Rebecca has found that cemeteries are one of the best places to photograph ghosts as they attempt to cross over into the world of the living. 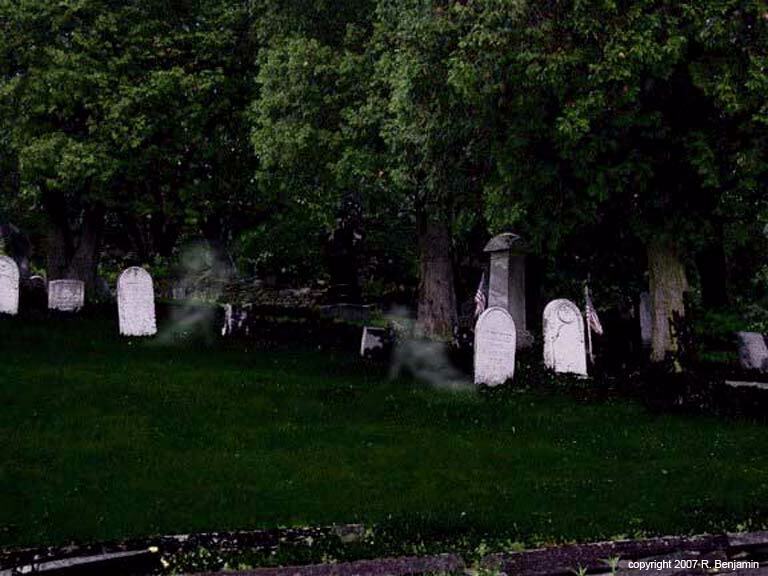 Cemetery humor: Two young men were walking home from a dance when one suggested that they take a shortcut through the cemetery. The second protested since it was a moonless, spooky night, but the first talked him into it. As they were approaching the middle of the cemetery, they heard a tapping sound that raised the hairs on the back of their necks. The first suggested that they check out the source of the sound and the second reluctantly agreed. As they parted some bushes, they saw an old man chiseling something on a headstone. The young men said, "Mister, you nearly scared us to death, we had no idea what was causing that sound. What are you doing anyway?" The old man slowly turned to them and said "The idiots spelled my name wrong."